DIY projects of woodworking, home automation, electronics and software development for the Macintosh. Phillips and Cree seem to be in tight competition for your LED bulb money. They both have cheap and cheaper versions of their bulbs now in more and more interesting packages but so far very few bulbs available will work in automated dimmer fixtures. The one reliable exception that I’ve found that is available locally at a reasonable cost are these Phillips bulbs. The light color is 2700k, but they dont feel that warm to me. The light is a little brighter than the sick yellow you can expect from a label saying 2700k. They dim perfectly on every remote controlled home automation dimmer that I’ve tried them on. They work on dimmers that do not have a neutral which forces them to run a little current through the load to power themselves. They also will run as a single bulb on an old style X10 push button switch! This is amazing as there aren’t many other LED bulbs that can run in that configuration. Sometimes you can build a large array of bulbs that wont be on dim all the time on a no-neutral switch but these work as a single bulb. They are silent, never making even a hint of a buzz and in the last couple of years that I’ve been buying them I haven’t lost a single one. Dont be fooled by the Phillips label though, they have several other kind and formats of bulbs, like the very interesting flat ones, but those will not work with no-neutral dimmers. They will be on low all the time and cannot be turned off. The bulb pictured above does not have that problem. Cree makes a bulb that is a little bit less expensive than this bulb and they now come in 60, 75 and 100 watt versions in both warm and cool color temperatures. I dont have a picture of these but they are the ones with the glass envelope coated in what feels like a dip in silicone rubber to protect you if the bulb breaks. These also work great on remote controlled dimmers and will also work as a single bulb on even an old style X10 push button switch. The downside of them is that they are noisy, buzzing very audibly when on a remote dimmer and even worse they flicker. These bulbs flicker even when there isn’t a dimmer anywhere around. I’ve got some of their flood lights that I am going to soon replace as even when on an appliance module with no dimmer around randomly they seem to think they need to flicker horribly. I cannot recommend these bulbs even though they do work on the dimmers because of the noise and flickering. 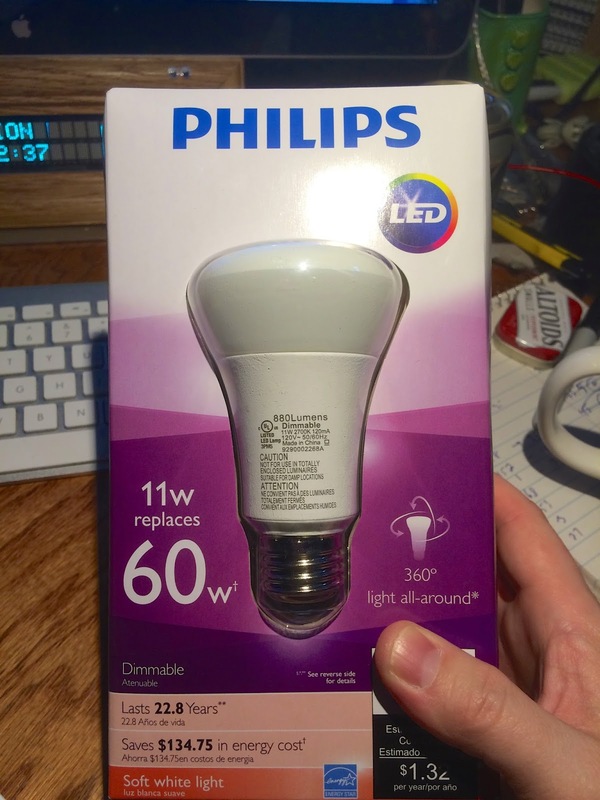 The phillips bulbs are available here at Home Depot and online in many places. This may well be the foremost exciting facet of the house automation package of performance. management each diverting facet with one touch! activate some actor and dim the lights with identical one-touch simplicity , for more information click here Home Automation Jupiter Island. Terrific :) Yes, the Cree bulbs work too, but they buzz on the X10 dimmers more than the ones I talked about in the article. Thats my only real complaint and the only reason that makes them less perfect than the Phillips ones. They cree and the Phillips ones work on the soft start, or even the older push button switches. It’s fun not to have to replace switches just to run modern bulbs. This is a really good read for me. Must agree that you are one of the coolest blogger I ever saw. Thanks for posting this useful information. This was just what I was on looking for. making things with solder and also wood. One of the developers of XTension, home automation software for the Macintosh. Macintosh Home Automation with XTension!